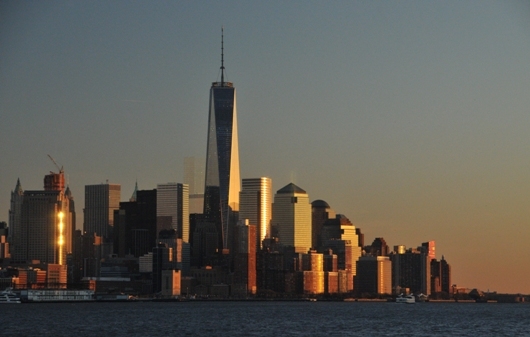 One World Trade Center at sunset. 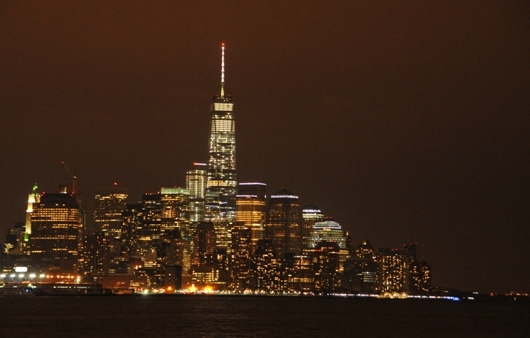 One World Trade Center at night. 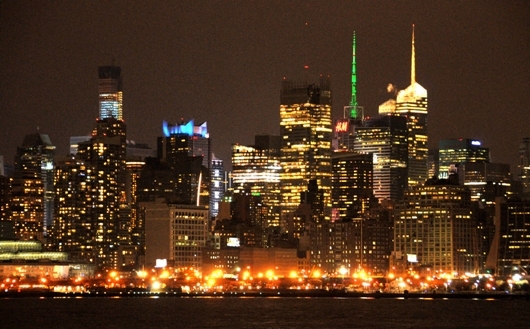 Times Square area viewed from Hoboken, NJ.